Round 1 goes ahead next weekend. Full list of fixtures can be found on the Kerry GAA website. All home PROs are asked to submit a short report as soon as possible after the game concludes. 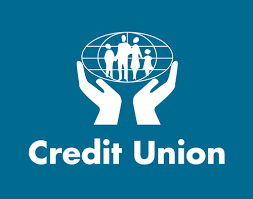 Our thanks to the Credit Unions for their continued sponsorship and we wish all the clubs the best of luck in their quest for honours and promotion. Please note that no re-arrangement of games will be allowed after Monday 5pm prior to each round of the league, except in exceptional circumstances, penalties for non-playing of games will be decided by the CCC. In the event of clash of colours, the Home Team must change. First named team has home advantage and is responsible for providing a suitable and properly presented venue. If pitch is unplayable, home clubs are expected to give at least 3 hours notice of any pitch problem. If suitable alternative is not found, then the home team travels to the opposition. Failure to adhere to this may mean loss of points. Last minute weather conditions may result in pitch problems and then the referee must decide if pitch playable. As per decision of the County Committee taken in January 2019 Meeting, where a Club fails to nominate a referee that Club will lose home venue for last two rounds of the Credit Union County League.